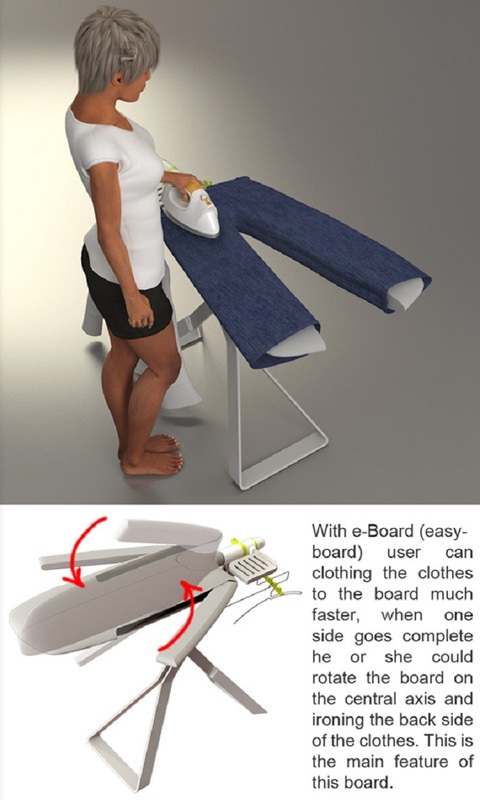 Finally, an ironing board that makes sense! E-Board is a 2012 iF Design Talents entry. 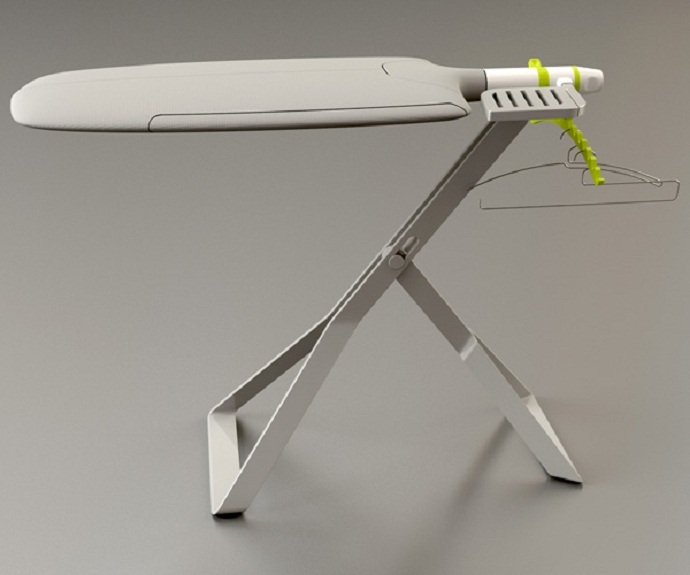 Discovered on Yanko Design, this super E-Board Ironing board was designed by Mohsen Jafari Malek. Board has five components that adhere and adapt to the garment that you are ironing. A controlling green knob allows you to split the board up for easy ironing of pants and wings out the sides for sleeves. Skirts, coats, trousers, shirts or any other thang, basically the board makes the mundane chore of ironing a whole lot easy. Clever integration of a hanger-stand and iron-stand, adds to the perks. Love!